Painting the "Four Gracious Plants"
The Four Gracious Plants are one of the most widely recognized themes in traditional Korean painting. 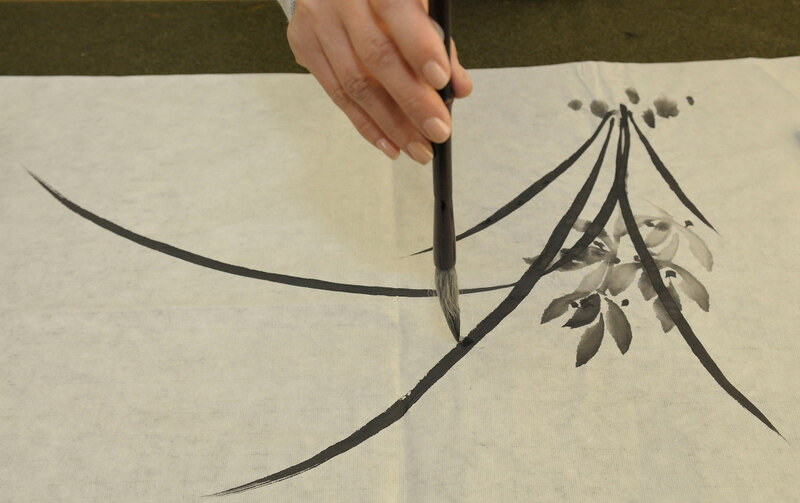 The plum blossom, orchid, chrysanthemum, and bamboo were originally Confucian symbols for the four qualities of a learned man, but are more commonly associated today with the four seasons. The students in this painting class will utilize a brush, black ink, and rice paper to emulate the grace and loftiness of these four plants.